First of all, I have to state that Exposure Alaska must be the best multi-sport, Alaskan adventure company around. I say “must be” because I haven’t actually explored Alaska with the assistance of any other company. So before I discuss the amazing and vivid details of my Exposure Alaska experience, let me mention why I am so certain of my forthcoming statements. 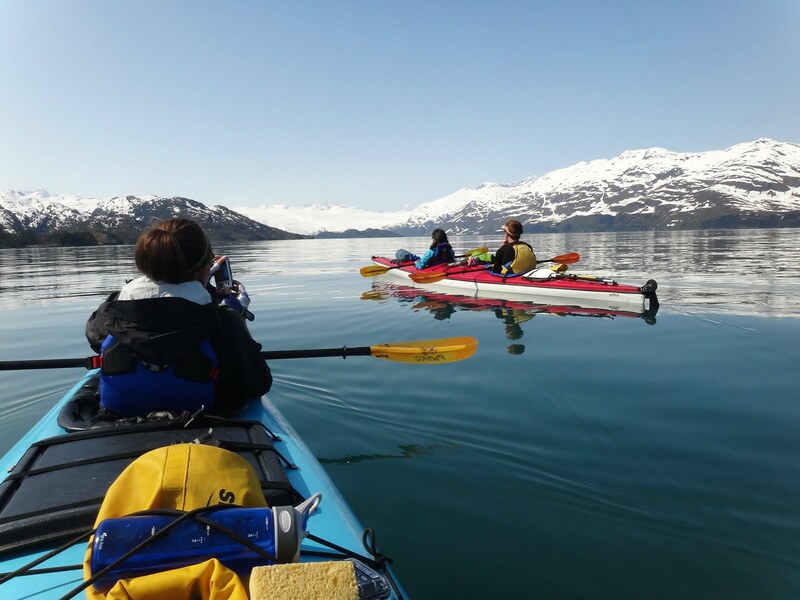 While my girlfriend and I were exploring Alaska with our super-friendly and extremely knowledgeable guild, Bill Jirsa, we occasionally crossed paths with other adventurers like ourselves and shared a few stories and opinions about our excursions. Almost everyone we met had some kind of reservation about his or her current trip. Some people were on a budget and had to forfeit one or two desired activities. 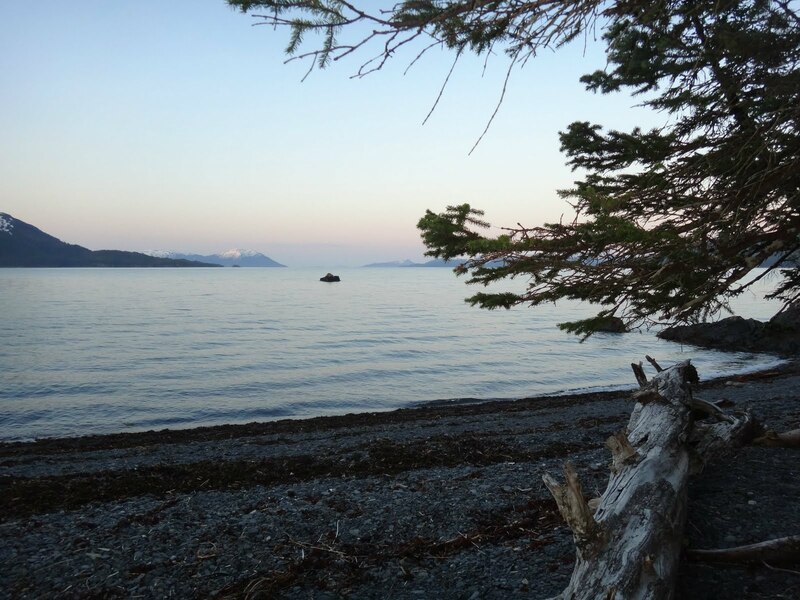 Others were exploring Alaska without a guide and had difficulty finding really cool things to do for an affordable rate and within a reasonable commuting distance. But the most common concern we heard from our fellow adventurers was the lack of assistance, or shall I say lack of interactions they had with their guides. Many people said their guides would simply drive them to a destination, drop them off, and then pick them up whenever their activity finished. So when my girlfriend and I described our experience with our guide from Exposure Alaska (GO BILL! ), they expressed a bit of envy. From this information I am confident my advocacy for Exposure Alaska is credible. After a short night at a not so luxurious Inn in Anchorage, Bill picked us up at 8:30am and we headed for Whittier, our kayaking launch point. After a brief but thorough 101 on kayaking and safety, we started paddling. Everything was beautiful and the WEATHER WAS PERFECT. (NOTE-A few locals mentioned that the best weather in Alaska occurs in May.) Every viewpoint was worthy of a post card or a home mantle piece. (Bring a camera that can take panoramic photos) After paddling about 9 miles, we stopped to camp. That night Bill cooked a DELICIOUS DINNER. The next morning we woke to the sound of a few birds chirping, water running down a nearby stream, and the soft rustling of trees. I unzipped my tent to see the morning sunlight bouncing off the deep blue water. 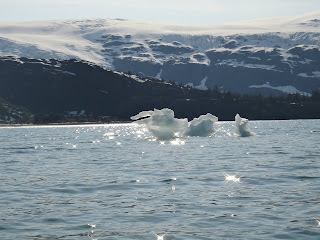 Day two, we paddled 13 miles to our destination, the Beloit and Blackstone glaciers. 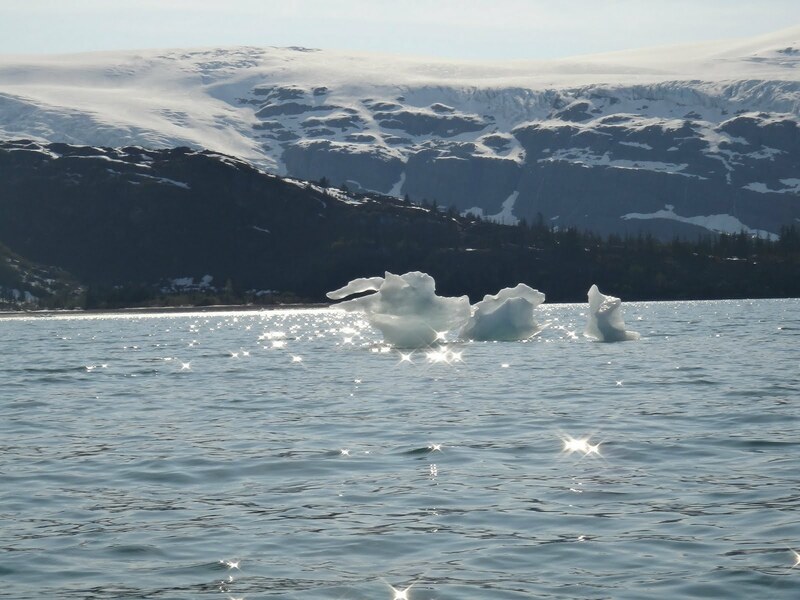 These two glaciers were beautiful and our viewpoint from the kayak was superb. That night we camped on an isolated beach sandwiched between the two glaciers. We stayed up chatting around the campfire until shortly after midnight. The next day we spent a few more hours paddling around the glaciers and then we traveled back to Whittier via water taxi. 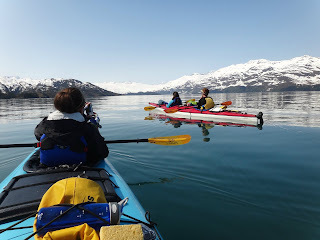 In two and half days we paddled approximately 28 miles and saw dozens of sea otters, a clam catcher, numerous bald eagles, and two glaciers up close and personal. Along the way, Bill shared tons of interesting facts about Alaskan wildlife and taught us glacier nomenclature. This was one of my favorite parts of the trip, since it combined exquisite scenery with intense physical activity. After having a slept like a baby in a quant B&B in Palmer, a picturesque Alaskan town, we started our hike. It was more difficult than I initially thought it would be. The first part wasn’t too intense. 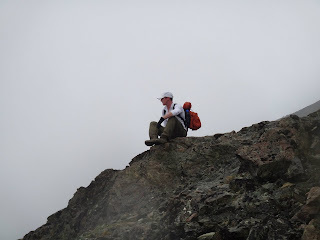 However, after we passed over Lazy Mountain and started up Matanuska Peak I found myself frequently winded. It was manageable but tough enough to make me completely exhausted at the end of the day. Ultimately, the viewpoint from ~6000 feet was spectacular. I took dozens of panoramic photos. Oh…we also came across a couple of moose. Luckily they were more concerned with each other than they were with us. Before Exposure Alaska, I had never stepped onto a glacier. To me it felt like I was walking on another planet. The first day was simply familiarization with the terrain of the glacier and learning the basics of safe ice trekking. We spend a good 2-3 hours walking on the ice and taking numerous photos of the beautiful surroundings. Again, the weather was perfect, sunny and warm. The next day, another beautiful day, and sadly our last, was all ice climbing. It was by far the coolest part of the trip. I felt like Sylvester Stallone in Cliffhanger or Chris O'Donnell in Vertical Limit. The adrenaline rush was addicting and after each climb I wanted to try something harder. Of course, my form and technique weren’t the greatest, but I still managed to make it to the top each time. As always, Bill offered excellent advice and helped improve our technique. 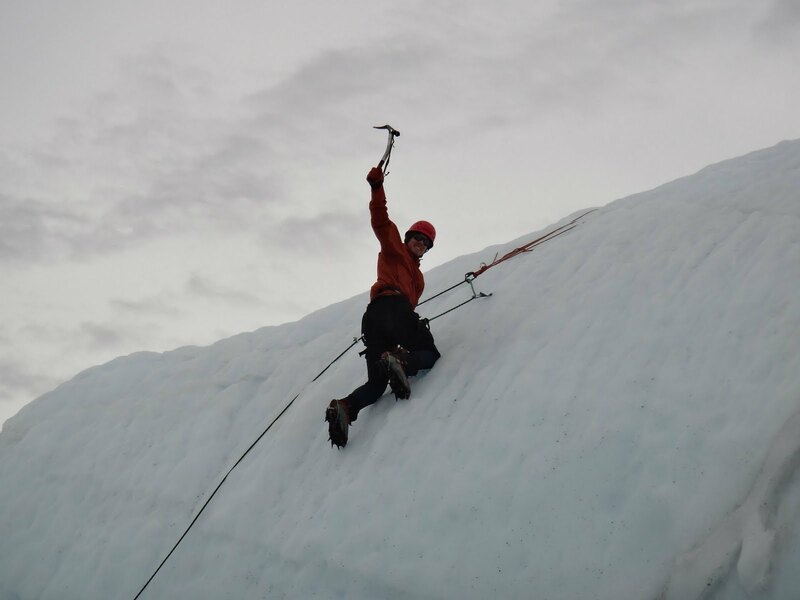 Anytime I visit Alaska in the future, I know I will not be able to leave without ice climbing. Hopefully, it will be with someone from Exposure Alaska because I completely trust the entire staff’s ability to keep me safe while maximizing my level of enjoyment. Sadly, our trip was complete. After saying goodbye to the staff, Bill drove us back to Anchorage. Our flight would depart in 5 hours. We said our final goodbyes and thanked Bill for such an amazing experience. Before heading to the airport, my girlfriend and I had a relaxing dinner at Simon and Seafort’s, the best place to eat seafood in Alaska. We concluded our holiday by toasting to our trip and eating the most exquisite Halibut, all while gazing over the beautiful Cook Inlet. My wife and I are about to embark on a similar trip with Exposure Alaska and it was nice to read a perspective from another customer. - What time of year did you go? - Was there anything you wish had taken but forgot or didn't think of until you were there? - Was there anything you wish you had left at home? Thanks again for your blog post. Sounds like a fun trip!